Organising yourself and your business in preparation to submit your self-assessment tax return can be a challenging job, and there is nothing worse that realising you cannot put your hand on all the information you need to complete the task. It is not just receipts and bank statements you need to hand though, your UTR is the most important piece of information about you when it comes to tax. HMRC will require this number to process your tax return so you will need to know it to proceed. Let More Than Accountancy take the stress of self-assessment tax returns off your hands this year; we can file it for you, for just £150 + VAT. A Unique Taxpayers Reference (UTR) number is allocated to you by HMRC. The number is 10 digits long, sometimes with a K at the end, and will be your reference number for life, rather like your National Insurance number. Your UTR is the way HMRC identifies you on the system when you file your tax forms, and will be required every time you submit your paperwork, so you will need to have it to hand when completing your return. Your UTR is used by HMRC to track your tax obligations, and to allocate your payments to your tax account so it’s important to get it right, incorrect numbers could result in delays and fines being issued by HMRC. The number is confidential and should be kept secure. When did I get my UTR? Your Unique Taxpayers Reference would have been automatically assigned to you when you registering for self-assessment or set up a limited company. When you set up a new business you automatically register for self-assessment tax returns and Class 2 National Insurance contributions at the same time. You will have received a letter from HMRC welcoming you to self-assessment, which will contain your UTR. Where can I find my UTR now? What if I can’t find any paperwork? If you cannot put your hand on any of this paperwork you can find your UTR in your HMRC online account. The Government Gateway is a secure website that allows you access to the UK government online services, including self-assessment tax returns. You will need to set up an account, which can be done online if you have not done so already. If you are still unable to locate it, the best thing to do would be to call the HMRC self-assessment helpline on 0300 200 3310. They are able to help with lost UTRs and will arrange to send it to you. As your UTR is confidential, you will be required to confirm your identity and having your National Insurance number available for this call will be helpful. Your UTR will be posted to you, be aware this may take up to 7 days, so if the deadline is looming, don’t leave it too late to get your tax return ready for submission! Your UTR is personal to you and your tax obligations, but if you have registered a limited company you will have also been allocated a company UTR. This is also a 10 digit number, and is required to register for business taxes, file returns and pay corporation tax. Your company UTR will have been issued to you by HMRC within 14 days of the company being registered with Companies House. If you have lost your company UTR you can also find it on correspondence from HMRC relating to Corporation Tax or within your companies online account, accessed on the Government Gateway. If you would like help with your tax return, why not let us let take the hassle away. 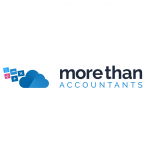 More Than Accountancy will complete your self-assessment tax return for you, for just £150 + VAT.